Chicago born rapper and Christian, Chance The Rapper tied the knot with his childhood girlfriend in a ceremony that was attended by 150 guest. 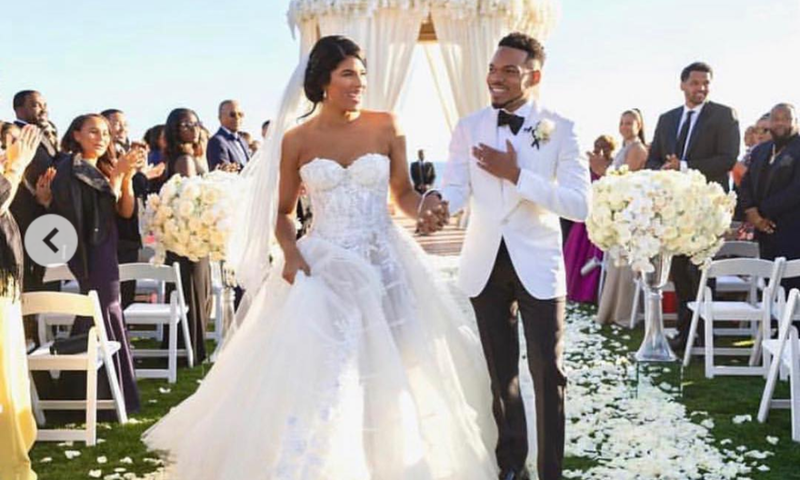 The 25-year-old rap star married his longtime girlfriend Kirsten Corley in a ‘romantic ceremony’ that took place at The Resort at Pelican Hill in Newport Beach. Days before the wedding, the rapper shared a touching story of how he met his wife when he was just 9 years old and how things started from there. The couple shared adorable 3-year-old daughter Kenslie. Shortly after her birth, Chance and Kirsten separated for a period of time but worked out their differences and got back together. “I have slight goosebumps. I’m at MY engagement party surrounded by my family and best friends and the woman I need. I feel so honored and God just real talk has a plan for me and like I just needed to let him guide me real talk Just had to share that, done with twitter for the day,” he shared.